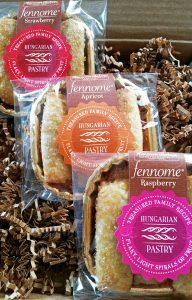 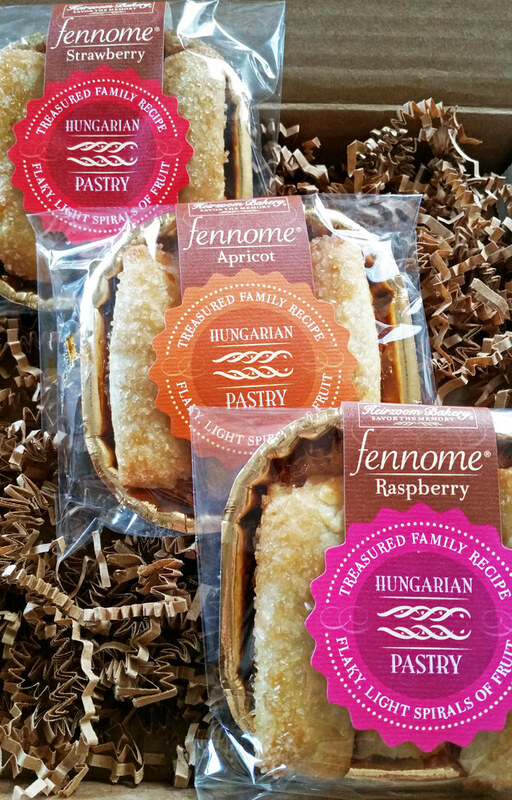 An indulgent trio of apricot, raspberry and strawberry fennome Hungarian pastries. 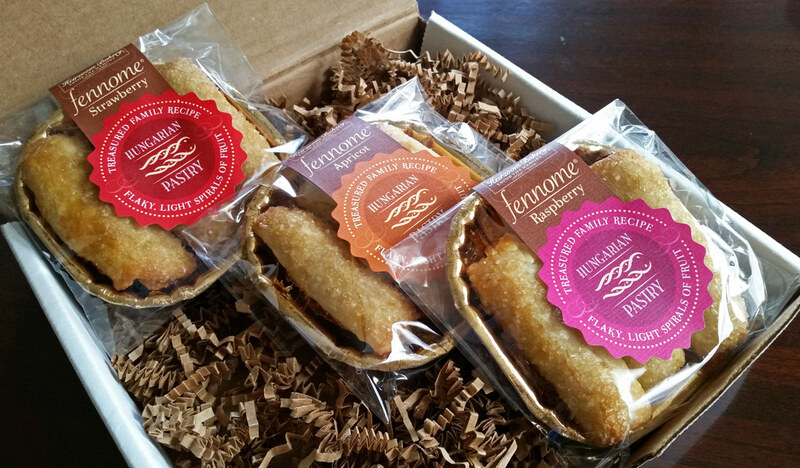 Each variety presented on their own signature gold pastry tray. 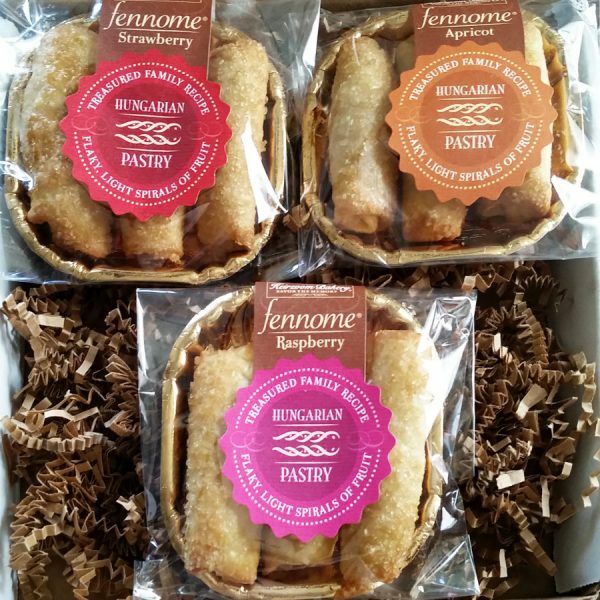 The perfect little gift and self-indulgent treat. Be the first to review “Fennome-to-Go Sampler” Click here to cancel reply.